This represents a monumental change as apart from changes of less than an hour the sailing pattern has been the same on this route for several decades. The same ship, MV Stena Europe, will operate the route but sailings are being accelerated by a quarter of an hour to 3 hrs 15 minutes. The overnight crossing at 23.45hrs ex Fishguard is being slowed to take 4 hrs 15 minutes. The change is being widely publicised and there was even an ad in the London Evening Standard a few weeks ago. It is good to see an innovative schedule but it's a bit of a mixed bag for SailRail passengers. At Rosslare rail connections have become very good by coincidence rather than design as the train times are unaltered but perhaps Stena Line looked at how to best mesh with the existing rail service. Three out of four sailings will be rail connected year-round i.e. Incidentally Irish Rail have recently revamped their booking engine with single fares from Rosslare to Dublin from €12.99. 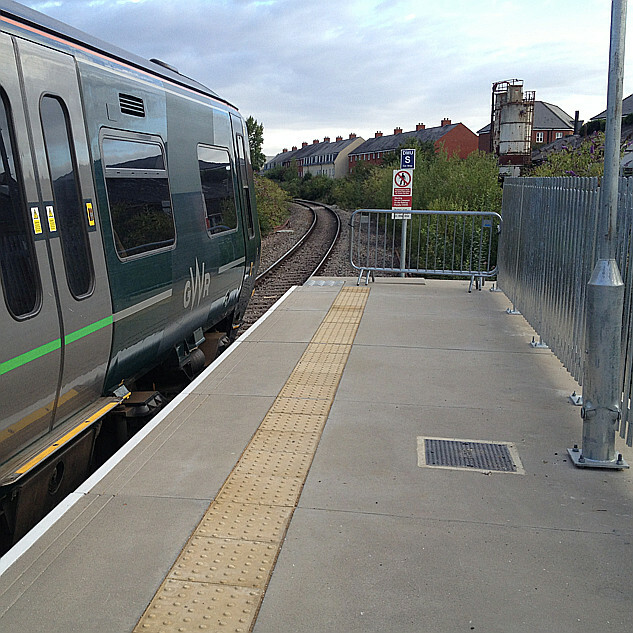 Will Arriva Trains Wales re-enable through ticketing to reflect this improved connectivity? Will GWR mention the existence of Rosslare in their online and printed material? Airline partnerships to far-flung flight destinations receive a mention on their travel connections page so why the apparent aversion to Ireland? At Rosslare bus connections to/from Waterford are poorer and the first bus from Waterford reaches the port at 08.20. At Fishguard things the main issue for SailRail passengers is that the rail connection off the evening sailing from Rosslare will only go as far as Carmarthen. Ideally this needs to extend to at least Swansea and ideally the welsh capital. No long will the overnight journey from Ireland to London be possible (there is a waiting room on Platform 1 at Carmarthen but I doubt many will wish to spend around four hours there). Could a bus be provided for the latter part of the journey if stabling/servicing/staffing requirements mean that the train can only go to Carmarthen? A later train would serve a dual role - as well as serving ferry passengers it would permit domestic passengers to make later journeys between the key towns and cities of South and West Wales. Local passengers in Fishguard, Goodwick and surrounds have lost their 23.45 ex Swansea and there appears to be noticeable disquiet about this. Boat trains will still run but the final 01.50 ex Fishguard Harbour will run tomorrow (Monday 22nd May, 2017). There has been a 01.50 night in night out for several decades - could it be the longest serving train departure time on the entire network? The Stena Europe is going to be working flat out and daytime port turnaround times are reduced but I don't see this as an issue except in adverse weather delays may be easier to occur. I await an announcement (?) with bated breath. Long overdue ... trains to connect with the boats. There are trains to Rosslare Europort ... and to my untutored eye they have seemed designed in a Beechingesque way to fail. OK - thanks for the update to your original post ... see it now. South Wales and South and West England to Dublin and the rest of Ireland by public transport is a logical journey - and I'm a very occasional user - Melksham (of course!) to the Dublin area. But only a very occasional user because the connections have been so crap that I usually take a deep breath and go via Holyhead. Were the service to connect decently right through, I would be much more than just a very occasional user. From England to Dublin, it now works. Two sensible journeys per day. Coming back, it's royally screwed. Then both involve a hotel or a long wait at the port or station. NO thank you! I am likely to use the route henceforth on my way to Ireland. On the way back, I probably won't. But take a wider look. You have three transport providers making up the route, and for all three of them the through international public transport market has shrunk to the extent it's become insignificant. The ferry company has used the speed of the boat, and perhaps the ability to turn around quicker, to remove the middle of the night arrival and departures at Fishguard - no bad marketing change for the leisure / car market who've probably not been thrilled with this timing on the end of a holiday. I don't think the Irish railways have changed much - if anything. Just that the arriving boats now connect with trains. Pity the the only departing boat with a connecting train doesn't have a good connection onwards in the UK. They have removed a service; I'm not sure whether to see it as the night boat train being removed or the last of the evening local trains introduced in 2011, but one has been removed no doubt about it. 7 trains per 24 hours has reduced to 6. Your hunch is correct; when the changes first came to my attention I sent a Freedom Of Information request to the Welsh Government in the hope of extracting the 2011 contract for Fishguard's additional rail services to see if cutting back from 6 per day to 7 was a breach of contract (the 2003 franchise agreement, with just the two boat trains, is published online, and Arriva cannot possibly comply with it since Stena's timetable change as it requires connections with both a GWR service to London and the ferry, which simply isn't possible). Unfortunately my FOI request was refused, but I can tell you that Outlook.com is reporting that I sent the FOI request E-Mail on 20/04/2017. That means the new times (or a variation of them anyway) were already on Real Time Trains then, if not before. Terminating/originating at Carmarthen would also be in breach of the 2003 franchise agreement, since it specifies that ATW must run to Cardiff or Swansea, but without the 2011 contract I cannot tell whether providing Fishguard with two Cardiff/Swansea services in each direction on the extra trains that don't meet ferries is enough to meet that requirement.